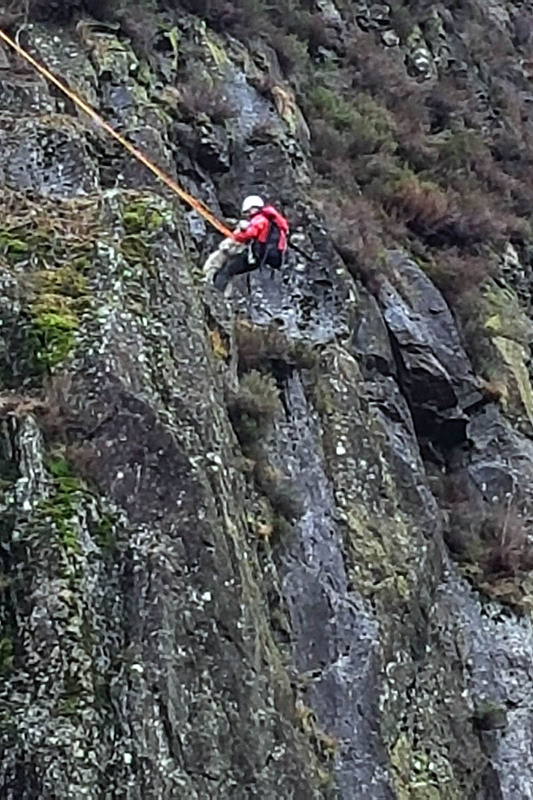 Mountain rescuers were called to aid a sheepish casualty stuck on Goat Crag in the Lake District. A farmer requested the help of Keswick Mountain Rescue Team to help retrieve one of his animals stuck on the crag in Borrowdale. A team spokesperson said: “A group of team members quickly spotted said sheep from Grange campsite precariously perched on a ledge. “Rigging from above, a team member was lowered down and managed to grab the sheep and get a sling round it despite its initial reluctance. The spokesperson said the incident provided good practice for Keswick MRT members’ rigging skills. The Mountain Rescue should charge sheep that are ill-prepared and not wearing appropriate footwear. Just giving them "words of advice" is clearly inadequate, as they keep getting cragfast.